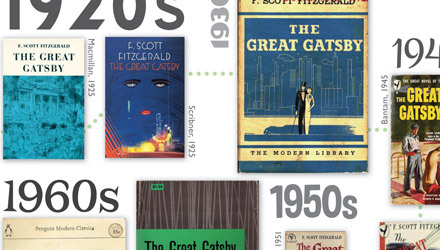 Check out these classic covers of The Great Gatsby. In addition to holding the distinction of “Great Novel of the Sinful Twenties,” The Great Gatsby has enjoyed dozens of cover redesigns. Even this week’s New York Times has taken note. Here are some of our favorites through the ages.